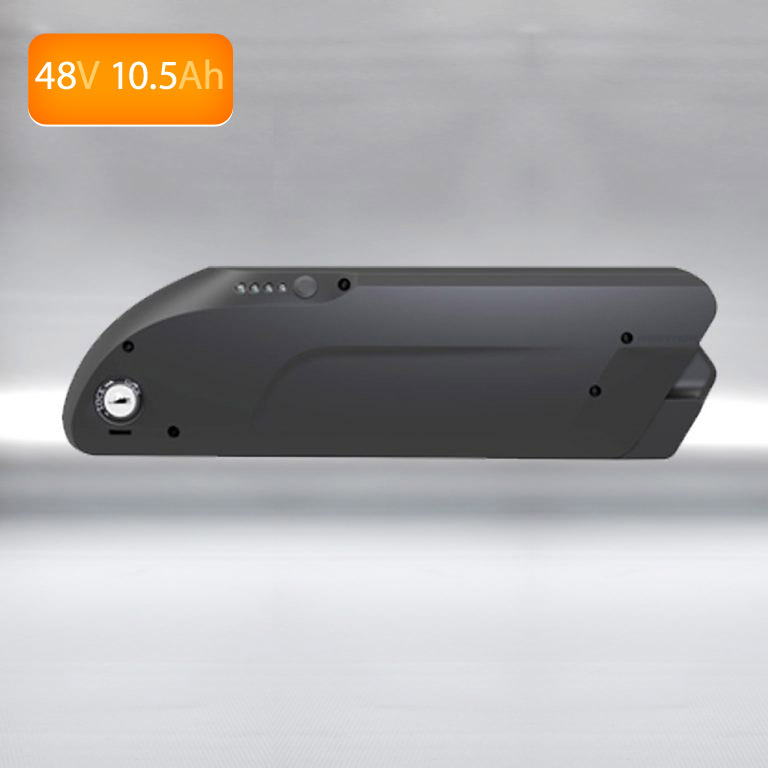 This is a neat battery that fits within the frame of the bicycle and is used for high power 48V electric bicycle applications. It is coupled often with our 1000W hub or mid-drive motor kits. It allows a range of approximately 25km. It uses the latest high discharge 3500mAh cells from PANASONIC. These have a 3C rating so can run high power applications. The battery comes with a holder that mounts to a bicycle’s down tube. It is easily removed and is lockable. It’s a great battery that is very common for running 1000W hub motors. It’s lovely small size fits within the vast majority of bicycle frames.